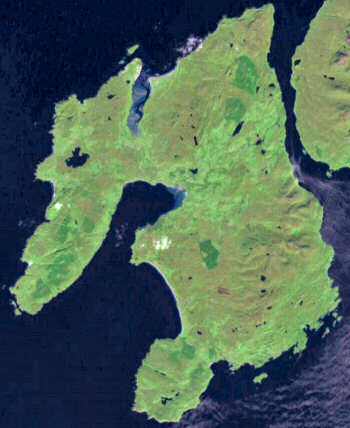 Ministry of Propaganda - 29/Nov/2004: "Islay From Space"
Now I know why I upgraded to 1Mb broadband recently: The download of the software is a whopping 260MB alone, after that broadband is pretty much a must for it to be usable. For what? NASA World Wind (found at Das E-Business Weblog). World Wind allows any user to zoom from satellite altitude into any place on Earth, leveraging high resolution LandSat imagery and SRTM elevation data to experience Earth in visually rich 3D, just as if they were really there. I quite like this view, some of my favourite places are in view including Machir Bay. I also discovered how to turn on the display of place names, download the larger version to read them and see much more of the picture. In the distance you can see among others Kintyre, the Isle of Arran, the Isle of Jura (with the Paps of Jura), Loch Fyne and Gigha. 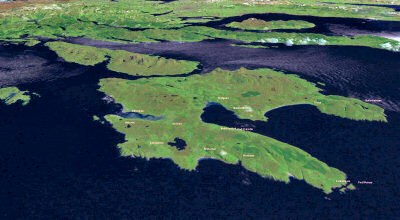 On the left Oronsay and a part of Colonsay with The Strand (at high tide) between them. If you look closely you can also just make out the runway of Islay airport (roughly in the middle of the Big Strand, moving left from Kintra). And I'm sure there's more to discover. Tomorrow I'll have a go at Ben Lomond and Loch Lomond, the Arrochar Alps and possibly the Trossachs. 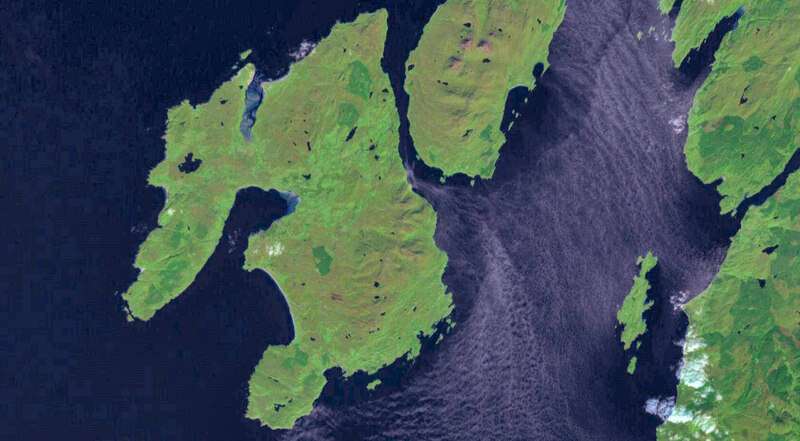 The last drink I had was/is: Finlaggan Ale from Islay Ales, it just had to be that one. My last one. Need to replenish my stock now.